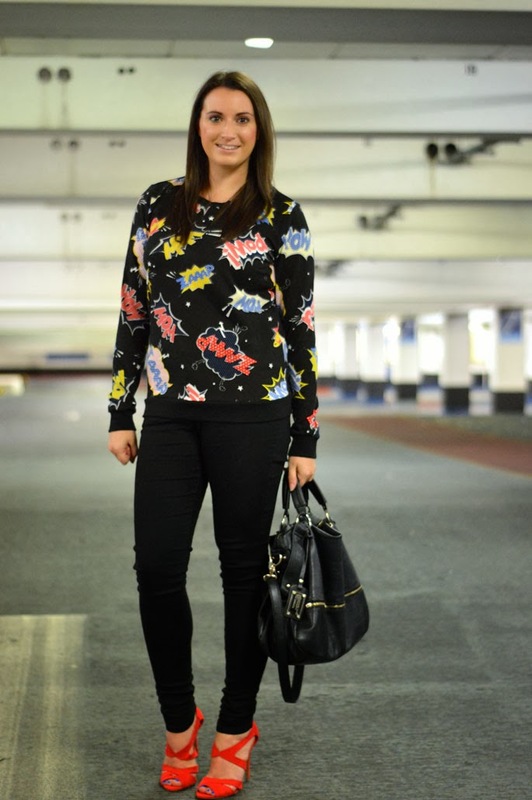 One of my favourite trends hitting the shops right now is comic fashion. It's a lot of fun and you can just be really silly with it. Dress it up or down, it's really up to you. This sweatshirt has now sold out but there are plenty more out there that are very similar. I wore it with black skinnies but I think it would have also looked good with a black leather skater skirt and a pair of black cut out booties. Love this, that sweater is fantastic! 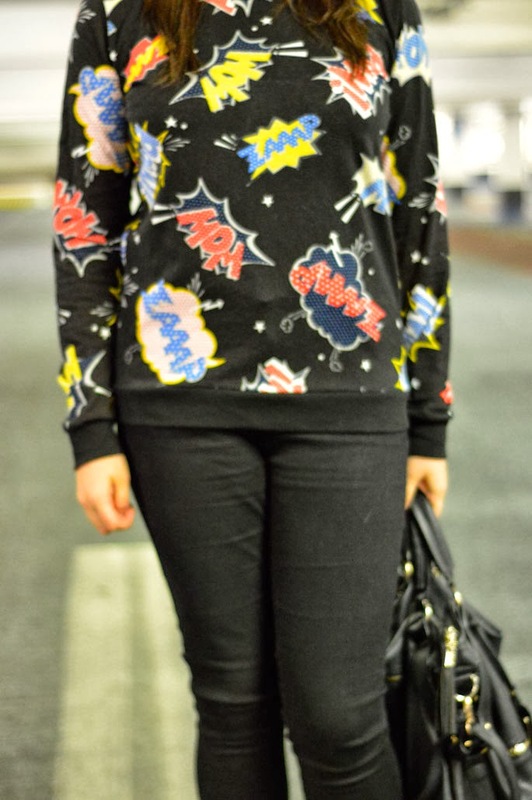 I love this sweater, it is so cute. I really like your red heels! Very cute outfit! you look lovely. Thanks for your sweet comment. Let me know if you want to follow each other to stay in touch! If you follow me, I'll follow you right back. Have a great day! I've been obsessed with cute sweaters lately, love yours. This sweater looks great . Nice pics!